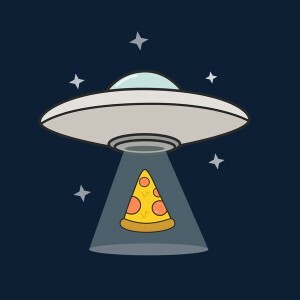 I wholly believe that if aliens have ever visited Earth, it was to sample some pizza. Because there’s nothing like pizza in the entire world. Beings have come from all over the galaxy to visit Chicago, New York, even California to taste the most delicious combination of flavors the universe has to offer. As a matter of fact, beings in other galaxies are working their asses off to learn how to travel to our galaxy to just to eat pizza. Pick up a slice and wrap this cloth around your torso and you, too, will understand why the universe goes mad for that combination of cheese, tomato, and bread.